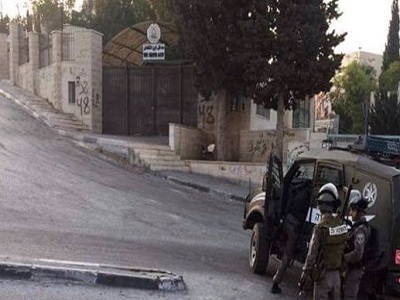 A Palestinian woman was moderately injured and hospitalized Saturday evening after Israeli settlers occupying her home in Hebron’s Old City in the occupied West Bank attacked her with stones. 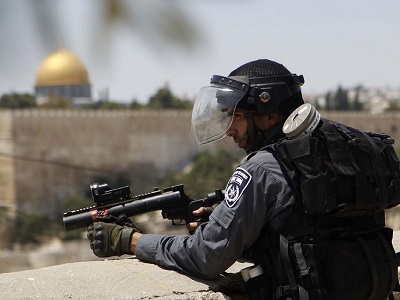 Hazem Abu Rajab told Ma’an that Israeli settlers, who forcibly took over parts of the Abu Rajab family home in July and have been living there ever since, hurled stones at his 55-year-old mother while she was on the stairs, on the ground floor of three-story building. She was evacuated to Hebron’s governmental hospital for treatment, suffering from a cut on her face. According to Israeli media reports, the settlers’ appeal was based on the same erroneous ownership claims to the property – which is referred to as Beit HaMachpela by the settlers – that have already been debunked in previous legal proceedings. 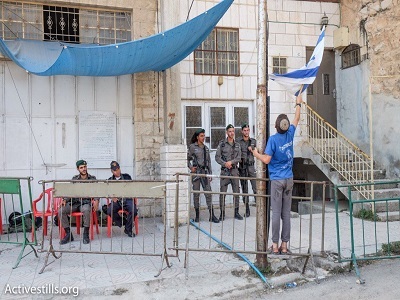 Located in the center of Hebron – one of the largest cities in the occupied West Bank – the Old City was divided into Palestinian and Israeli-controlled areas, H1 and H2, following the Ibrahimi Mosque massacre. The Abu Rajab home is located near to this mosque.